Men Lightweight Jacket Raining Man in camouflageWith the Raining Man Coat from Ecko Unltd. You can also easily trust the door on particularly uncomfortable days. This is due to the robust upper material made of durable polyester, which leaves no chance of rain and moisture and ensures that you get dry through the day. Meanwhile the light, breathable inner lining of airy mesh promises you a comfortable wearing feeling. 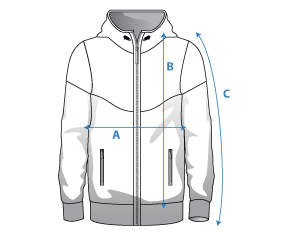 And you also do not have to give up freedom of movement because the casual cut makes the jacket comfortable to wear, while elastic cuffs on the sleeves prevent annoying slipping. Of course, the jacket can also convince visually, because the lush olive green and labelprints on the back and the chest turn out to be a stylish luck. This product is running large.